Apartments, that are designed for 1 to 4 people have 45 to 50 sq. m of floor area, a hall, living/dining room, fully equipped kitchen, comfortable bedroom, bathroom and toilet. 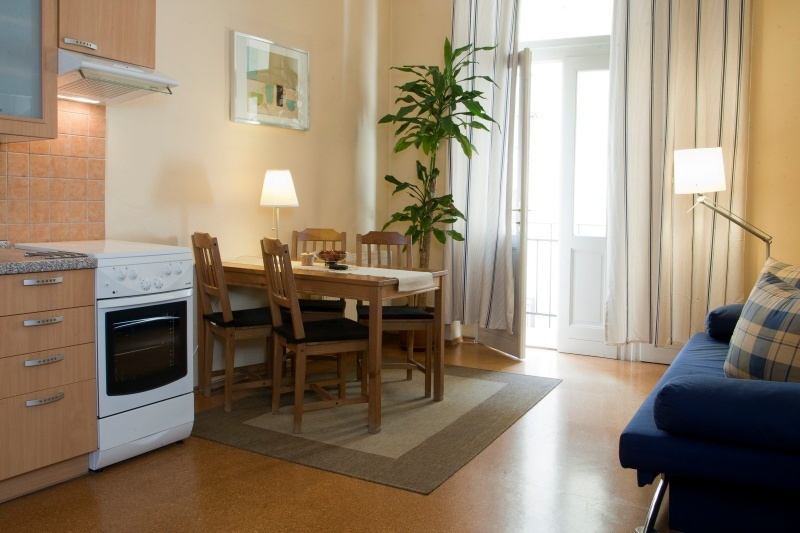 The kitchens are equipped with modern appliances, including electric or gas cookers, fridges, as well as all necessary kitchen utensils, cutlery and dishware. Available is a satellite TV, free internet Wi-Fi and all other necessary fixtures and fittings.